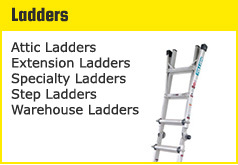 For over 30 years House of Ladders, a family owned and operated reseller of Werner Ladders, prides itself on providing outstanding customer service for all of its customers. 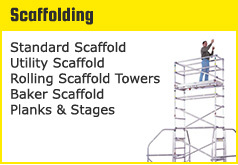 Our product lines have grown significantly over the years to solve all of your ladder, stage, scaffolding, lift, truck/van equipment, safety, accessories, replacement parts and other climbing equipment needs. House of Ladders has multiple locations and distribution warehouses throughout the United States which allows us to provide our customers quick delivery and shipping from the warehouses and even customer pick-up. We carry a wide variety of items and if you don't see what you are looking for, we can gladly locate it for you. Our trained professionals and knowledgeable sales force are available to answer any questions and can be reached at (800) 334-6909. 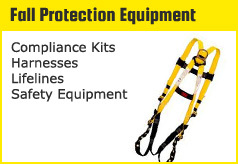 We are committed to offering our customers the highest quality equipment available at the best price. Our goal at House of Ladders is to service what we sell. 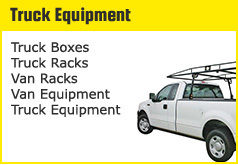 We are committed to serving your equipment needs and appreciate your business.